Last summer there were some questions about the under-construction Thornton Lofts project at 701 Ocean Front Walk in Venice, a 10-unit condo development that seemed slow to finish. Well, the project, which was designed by local architect Michael Folonis, is completed and yours to rent. Prices: $6,500-$9,500 a month (those prices have just been reduced). "We decided at this stage..we thought we would lease them for a year, and then they can be sold," leasing agent Valerie Fitzgerald tells us. 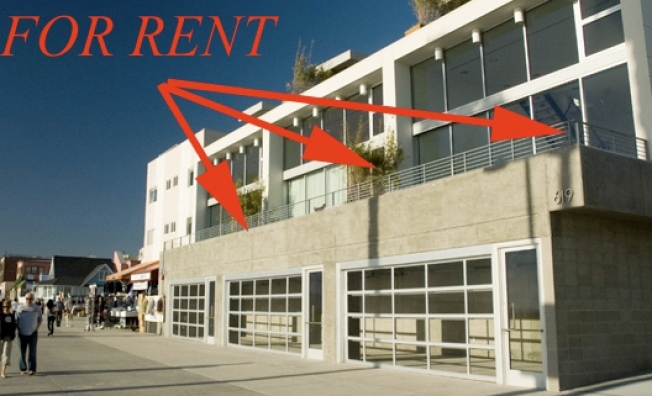 And if you are so inclined to buy--the units are all about $3 million and up--the developer (one of the developers is listed as Venice Beach Properties LLC), is offering 80 percent financing. Nifty. It's like 2005 all over again.